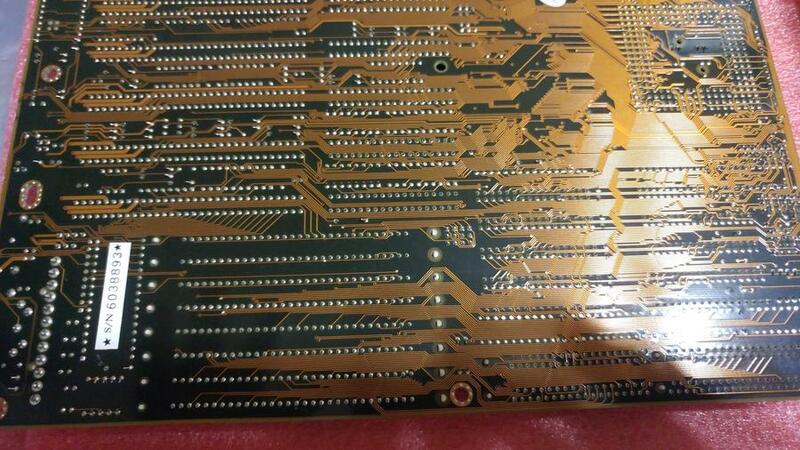 The Mother Board • View topic - 486 Socket 3 VLB Motherboard need ID please! 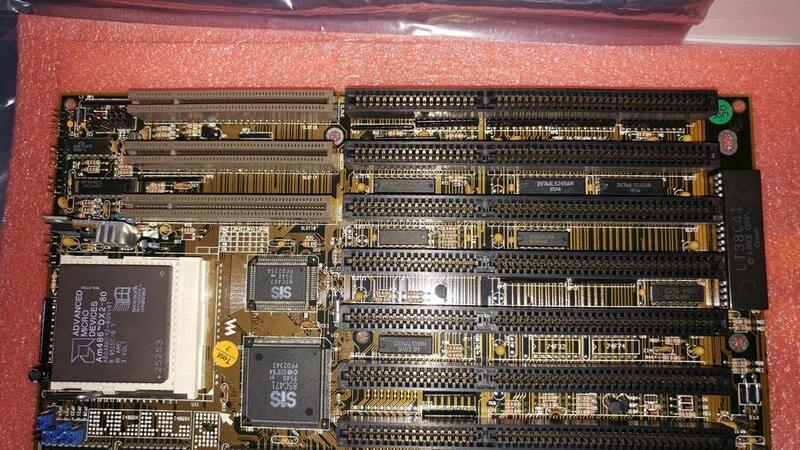 486 Socket 3 VLB Motherboard need ID please! 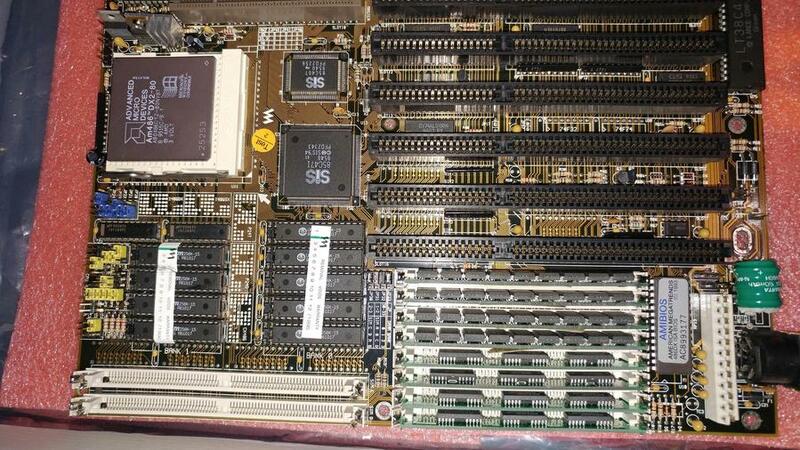 Post subject: 486 Socket 3 VLB Motherboard need ID please! I have multiple images, but there doesn't seem to be any real identifiers. I have no Graphics options at the moment to hook it up. 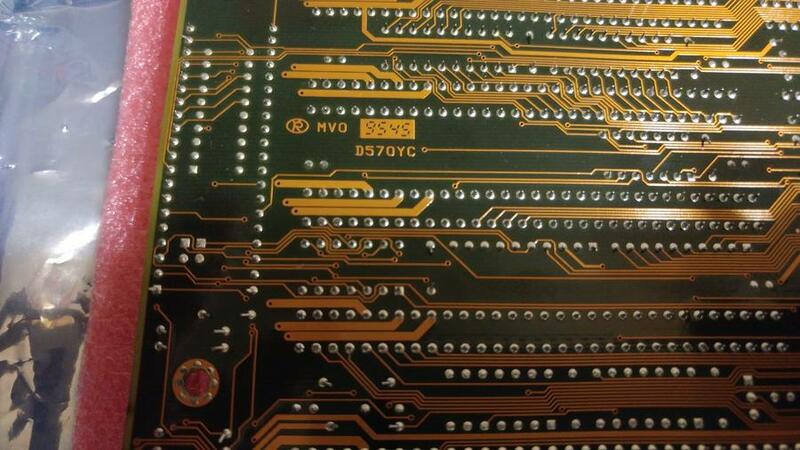 Post subject: Re: 486 Socket 3 VLB Motherboard need ID please! First thing I would do is replace that BIOS battery by the keyboard socket.. the round, green object growing "hairs". That "hairy" growth means the battery is dead, and about to damage the traces or other components. Very caustic mixture in it. Take note first at the ends of the battery, which should be marked (+) and (-). Should be marked on the board also. Any residue left on the board can be neutralized with baking soda and water then plain water. A soft, damp toothbrush is best. A replacement battery can be found fairly easy, some electronics stores, any computer repair shop. Maybe around $6.00 USD or more. Or solder a two-cell AA battery holder leads to the terminals and all should be OK. The reason for replacing the BIOS battery is that it provides power to the real-time clock and BIOS needs when not on mains power. If the real-time clock is not active, then very likely no life-signs because the bus oscillators won't be active either. Absolutely. i was actually considering a CR2032 Mount with diode to prevent recharging. Just got the motherboard yesterday, and there was no marking on it that said to me what it was. so figured i'd ask around. No need to worry about a blocking diode. The BIOS power circuit has a matrix of diodes, resistors and a Zener diode to ensure proper voltage and current to the BIOS and CMOS chips. If space permits, good idea to put on a holder for the CR2032 coin cell. Even if the need to hot-glue a 1/4" spacer between the holder and the board. Extension leads on the holder, of course. Been there, done that. Really ancient BIOS setups may have required 4.5 to 5.5 volts, but since the X386 designs, only 3 volts is required. Very good to know. I'll be ordering my CR2032 holder tomorrow then. and de-solder the battery/cleanup today. The layout of the memory slots is pretty specific, and I have had some M Technology boards before so the colouring looked familiar.